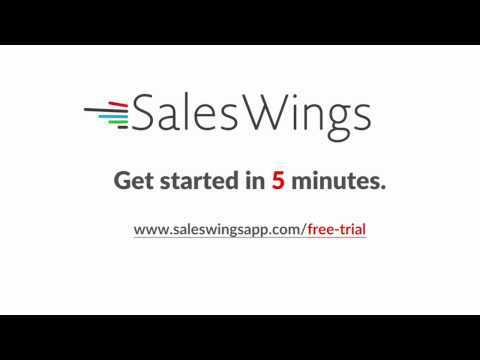 SalesWings is a lead management tracking software that enables marketing and sales teams across the world to engage with their next best lead. It comes with an intuitive set of tools including user-input based point scoring, lead tagging and lead insights, built-in predictive lead scoring, and lead tagging. SalesWings 360 degree lead management tracking and insights allow users to track all the activity from their website, leads, sales, and marketing solutions. Flexible rule-based point scoring ensures that the biggest potential leads are contacted by the sales team. With SalesWings, users can also upgrade their existing email marketing, landing page software, and sales outbound forms. The inbound lead prioritization feature allows users to collect inbound leads, then prioritize and qualify them, without asking too many questions. Real-time intent segmentation with auto-tagging ensures each lead is on the right path. SalesWings lead insights provide users with control over volatile sales cycles and hiding buyers. SalesWings integrations include Salesforce CRM, Pipedrive CRM, Salesforce Marketing tools, and other email marketing tools. Saleswings turned out to be a super way to understand our leads behaviour. Implementing the script was quick and we were up and running almost instantly. We use the integration with Saleswings as an integral part of our acquisition work flow. Saleswings data gets synced to our campaign tool AutopilotHQ, and as soon as Saleswings detects buying intention and qualifies a lead as hot, it creates an opportunity. This allows us to approach leads in a very targeted and timely manner, which usually is only possible for large enterprises and not for growing ventures like us. Last but not least, thanks for quick and friendly support, you guys are great! Thanks for the great feedback, Raphael! Saleswings allows us to focus our business on hot leads and increase our conversion rate. Thank you for your insights and feedback. I believe you're using it together with Salesforce, which is also interesting to see it works there. Any features requests, please just send it to our support! My experience has been satisfactory and willing to renew my subscription over and over again. Hot leads, buyers, great sales conversation and money in the bank.The ability to score my Mailchimp subscribers and reach out to them when they are ready to buy. Also, it notified me when my leads are ready to discuss sales and I call them immediately. I already recommended the tool to my clients in Nigeria. The ability to score my Mailchimp subscribers and reach out to them when they are ready to buy. Also, it notified me when my leads are ready to discuss sales and I call them immediately. I already recommended the tool to my clients in Nigeria. There's nothing to hate about this tool. Only regrets is the high cost and the fact that you will hate yourself if you don't renew your subscription. So I suggest you try out the tool. Thank you for the great review, Caroline! Happy customers are what make us the happiest! Glad that you got some great results from using SalesWings in combination with Mailchimp and that you're even recommending it to others. Highly appreciated! About the cost of our solution - we understand that it could seem pricey at first glance, but as our customer you probably know better than us that in just a couple of months you receive over 1000% ROI. We are confident that we offer good value for the cost of our solution and it is still times cheaper than our competitors'. Grateful to have you as our client and looking forward to securing more deals closed and "more money in the bank" for you in the future! Saleswings had the biggest impact for our sales organization in 2017. Increase of 30% of new leads and revenue. Easy to use, easier to master. Realtime information and feedback regarding our customers via API to Pipedrive and gmail plugin. Increased our sales by 30% in the second half of 2017. Easy to use, easier to master. Realtime information and feedback regarding our customers via API to Pipedrive and gmail plugin. Increased our sales by 30% in the second half of 2017. On the one hand, the customer support war very offensive with their email campaign, on the other hand the response times were a little too long, but overall okay. Saleswings offers me insights on prospects and information on how my websites are used. Thanks mister Rijk for this review, it'll definitely help others giving Saleswings a good look. Contact Saleswings for pricing information. • Allows users to centralize lead activity from other applications including web forms, chat, support, and other meeting scheduling tools. • The predictive scoring feature quickly identifies an ideal time to contact a potential lead. • Enables users to track, and qualify their existing CRM contacts using their existing email marketing tool. • Flexible tagging allows users to organize leads for personalized marketing. • The interest history feature enables users to see each lead’s past activity. Below are some frequently asked questions for SalesWings. Q. What type of pricing plans does SalesWings offer? Q. Who are the typical users of SalesWings? Q. What languages does SalesWings support? Q. Does SalesWings support mobile devices? Q. Does SalesWings offer an API? No, SalesWings does not have an API available. Q. What other apps does SalesWings integrate with? Q. What level of support does SalesWings offer?